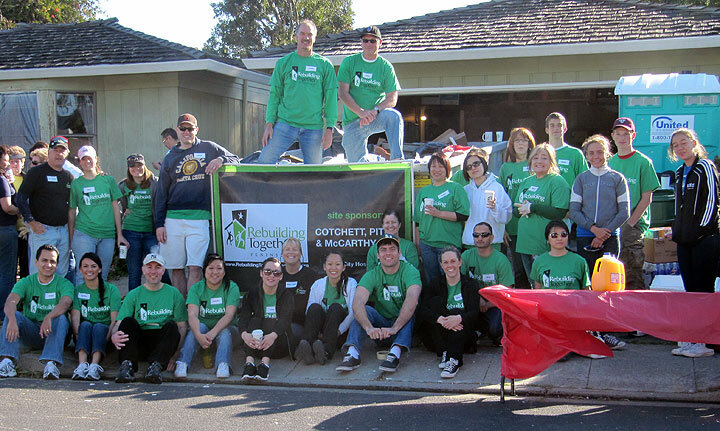 On Saturday, April 30, 2011, Cotchett, Pitre & McCarthy participated in Rebuilding Together, the nation’s leading nonprofit working to preserve affordable homeownership and revitalize communities for low-income homeowners, particularly the elderly and those with disabilities. The CP&M team this year was headed up by Debbie Kiefer, Facilities Manager. With the support of 40 volunteers, the CP&M team scraped, primed, painted, and revitalized the residence of a disabled adult living in Foster City. CP&M also donated more than $5,000 to Rebuilding Together Peninsula. “This was an opportunity to take the hands-on teamwork approach our firm applies in the courtroom and apply it to those in need in our community,” said Mitchell.